Jason Church is an experienced attorney who represents members of the insurance industry, small business community, and individuals across the State of Michigan. 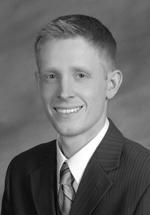 He has been recognized by his peers as a Michigan Super Lawyers "Rising Star" in the areas of civil litigation, insurance defense, and insurance coverage. Jason is a graduate of Michigan State University (B.A., 2005), where he was a Broad Scholar and member of the Phi Alpha Theta National Honor Society. He earned his law degree from Wayne State University Law School (J.D., 2008), where he was a member of the national trial advocacy team and awarded the Board of Governors Scholarship. Before joining the Schwartz Law Firm, Jason worked as a litigation attorney with one of Michigan's largest law firms, as an in-house attorney with a Fortune 500 company, and as a sole practitioner advising and representing small businesses and individuals. He was admitted to the State Bar of Michigan and to practice in the United States District Court for the Eastern District of Michigan in 2008. He is an active member of the State Bar of Michigan and Michigan Defense Trial Counsel.